In the world of email marketing it’s very important to get qualified leads for your newsletter list. What do these qualified leads mean? Well it consists of people who won’t unsubscribe from your newsletters and who are really interested in your news, even potentially becoming your brand’s most enthusiastic fans and they will always hold a potential for you to sell your products/services to. How to get qualified leads to your email list from Facebook? IDBUS demonstrated a great example for that! They ran a 11-day-long promotion campaign on their Facebook Page which got an 54% conversation rate and 3,019 fans also liked their page. Curious? Read more in this case study from Claire Simonnet and learn the secret ingredients of this campaign. We wanted to increase our client’s brand awareness, increase the client’s offers’ visibility – especially we wanted to promote iDBUS’s Lyon-Barcelona trip, and get new email leads to the client’s newsletter list. iProspect is an integrated media agency offering innovative digital marketing solutions globally. Their offices are located in the UK, US and in Japan as well as other countries. The agency works with top clients such as Disney, Adidas and American Express. 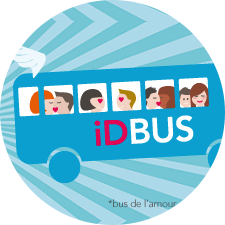 iDBUS is a French transportation company offering a long-distance coach service linking the major European cities. iDBUS provides a quality service (WIFI, ergonomic seats, journey monitoring) and all for a reasonable price. To tackle these main goals, the agency created a draw to iDBUS’s Facebook Page with the theme for Valentine’s Day. The company’s 11-day-long draw was launched in February. They created the promotion in French; however, anyone could enter regardless of where they lived. On the promotion’s ‘Entry form’ the participants had to answer 2 questions correctly in order to take part in the draw. At the end, the company picked a lot of winners, 69 winners randomly: every single one of them won a trip with their partner to a destination they chose out of three options. So at the bottom line 138 people could enjoy the actual benefits of the promotion. The winners of the sweepstakes could win a trip of their choice. a Lyon-Barcelona trip (in the value of €140). 23 people were chosen as winners per trips, and all of the winners received 2 tickets (one ticket for themselves and one ticket for their loved ones). So, at the end 2x69 people could travel with iDBUS on their chosen lines. The organizer asked them on the ‘Entry form’ which prize they were going for. By offering so many prizes iDBUS created a great proposition to enter. The more grand prizes a promotion has - the higher the chance of winning for a subscriber. Also, subscribers could choose which prize they wanted – this is how they could customize the offer for themselves. Also, this allowed the company to learn about their preferences. iDBUS like-gated its sweepstakes, so those who haven’t liked its page before had to click on ‘Like’ if they wanted to see the content of the sweepstakes. Valentine’s Day provided marketers with a great opportunity to promote their products/services and iDBUS exploited these opportunities. That’s why the agency created the draw with the theme of ‘iDBUS – The Bus of Love’. This was a great choice, as it provided a cost-effective and last minute gift offer to the subscribers, who were still seeking something to surprise their lovers with. A promotion that targets lovers can be very effective for driving sales and brand awareness during Valentine’s Day. There is a recurring problem that happens to many Facebook sweepstakes and contests: quality issues. You get a lot of subscribers to your contest and later you want to engage further with these people in email. But what if people are only going after the grand prize? What if you collected prize hunters rather than people who are interested in your brand? On the entry form they asked 2 questions that required a bit of research. They gave the opportunity for subscribers to opt in for their newsletter list where they could get special offers from iDBUS. These methods also guaranteed that cheaters were less likely to enter the promotion as the barrier of entry was high. You can read more creative tips like this in this blog post. Usually marketers are afraid to ask more than 3 questions at sweepstakes, but if the barrier to entry is very low it is not good either. With more questions you will get more “real” leads. asked 6 bloggers to write about this special opportunity. The agency made sure that relevant traffic was being directed to the promotion. That’s why 54% of the visitors became subscribers at the end. This is a post from iDBUS Google+ channel. They have shared the same image with clear call-to-action on their other social media channels with the link of the promotion. The agency wrote a clear Terms & Conditions where they stated that when the promotion ends they would announce and notify the winners via email within one week. Also, they published the winners on their website, so everyone could see the results. iDBUS announced the winners on its website. This ensured the participants that the promotion was authentic. The 11-day-long campaign’s conversation rate was 54%, means that half of the promotion’s visitors subscribed at the end. 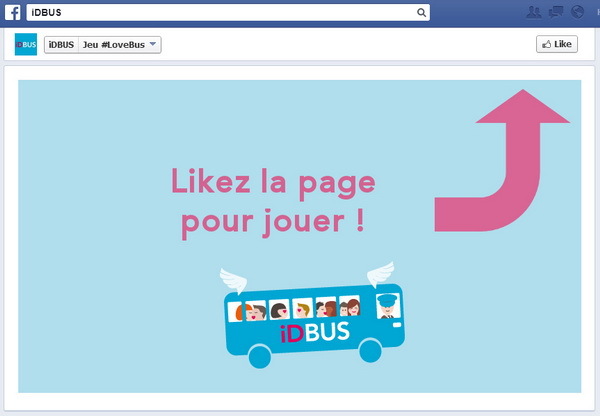 During the draw an extra 3,019 new fans liked the Page, demonstrating that the campaign mainly motivated not just the existing fans of iDBUS, but new faces as well. iDBUS demonstrated that a great theme (targeting couples) and an integrated promotion strategy can attract quality email leads to a newsletter list and create deeper engagement at the same time. Their success was based on the fact that they not only took advantage of the power of social media, but also used channels like bloggers and newsletter to spread the word about the promotion. At the end of the 11 days while their Valentine’s Day themed campaign ran, the conversation rate was 54%, so half of the visitors subscribed in the end. The agency used Antavo’s platform to build the promotion application instead of working with an IT development team. We are amazed with how easy it is to run a campaign in four languages and on four sites simultaneously... An A+ service and expect us to return with more client campaigns! Antavo is used by 15.000+ marketers all over the world. You can sign up for a free trial here. Plans start from $25. 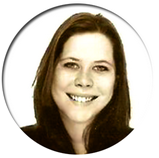 This case study is based on an interview with Claire Simmonet and written by Timi Garai.